MRI in Practice continues to be the number one reference book and study guide for the registry review examination for MRI offered by the American Registry for Radiologic Technologists (ARRT). 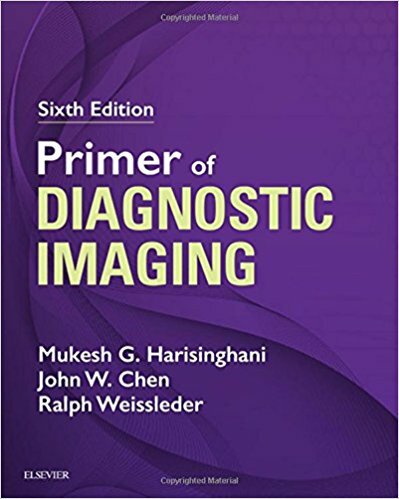 This latest edition offers in-depth chapters covering all core areas, including: basic principles, image weighting and contrast, spin and gradient echo pulse sequences, spatial encoding, k-space, protocol optimization, artefacts, instrumentation, and MRI safety. 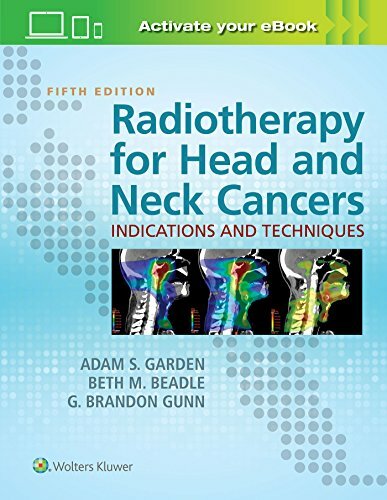 The leading MRI reference book and study guide. Now with a greater focus on the physics behind MRI. Offers, for the first time, equations and their explanations and scan tips. 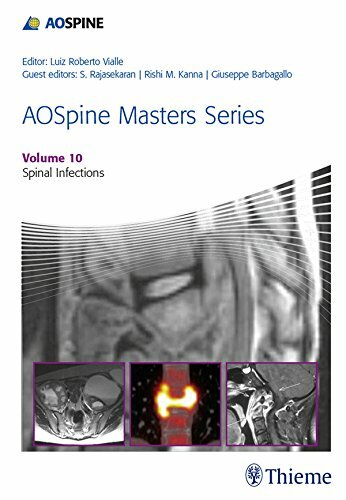 Brand new chapters on MRI equipment, vascular imaging and safety. 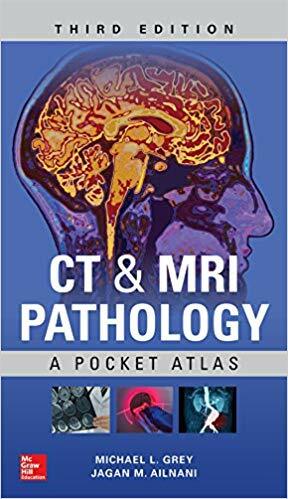 Presented in full color, with additional illustrations and high-quality MRI images to aid understanding. 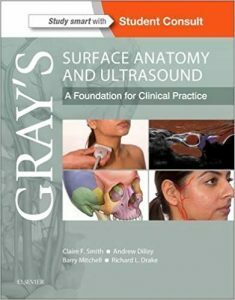 Includes refined, updated and expanded content throughout, along with more learning tips and practical applications. 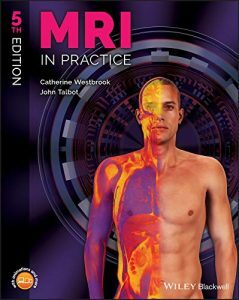 MRI in Practice is an important text for radiographers, technologists, radiology residents, radiologists, and other students and professionals working within imaging, including medical physicists and nurses. 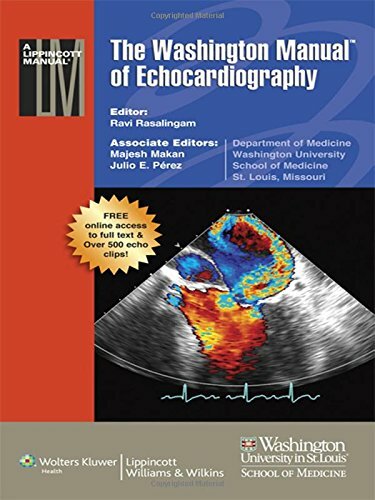 Supervised and edited by faculty from the Washington University School of Medicine, The Washington Manual of Echocardiography provides quick insight into the successful performance and interpretation of echocardiographic images. 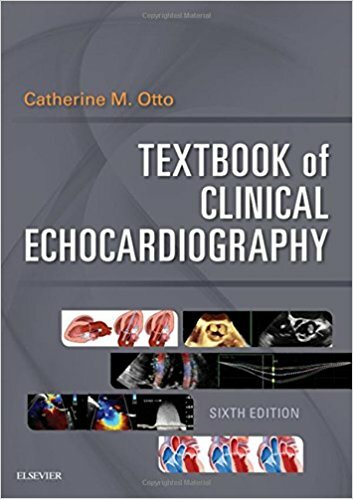 Ideal for today’s cardiology fellow, this outstanding reference is both sufficiently comprehensive to guide users through training, and accessible enough as a quick consult for general physicians who are interested in echocardiography. 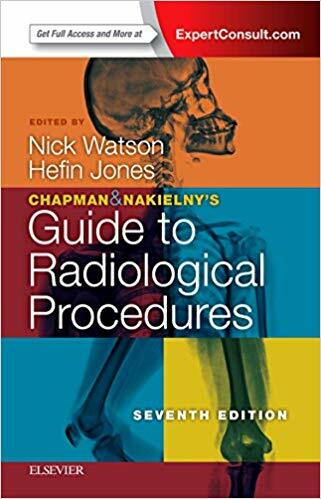 Chapman and Nakielny’s Guide to Radiological Procedures has become the classic, concise guide to the common procedures in imaging on which a radiology trainee will be expected to be familiar. Now fully revised and updated in line with current practice, it will also prove invaluable to the wider clinical team that now delivers modern imaging services, including radiographers and radiology nurses, as well as a handy refresher for radiologists at all levels. The highly accessible format has been retained, with every technique described under a set of standard headings, making it ideal for quick reference and exam preparation. 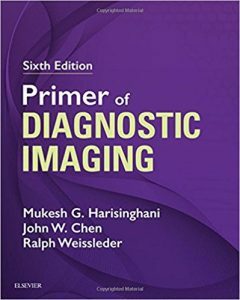 Widely known as THE survival guide for radiology residents, fellows, and junior faculty, the “purple book” provides comprehensive, up-to-date coverage of diagnostic imaging in an easy-to-read, bulleted format. 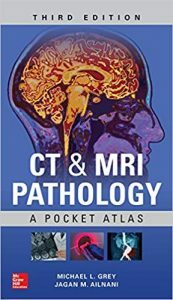 Focusing on the core information you need for learning and practice, this portable resource combines the full range of diagnostic imaging applications with the latest imaging modalities, making it the perfect clinical companion and review tool. 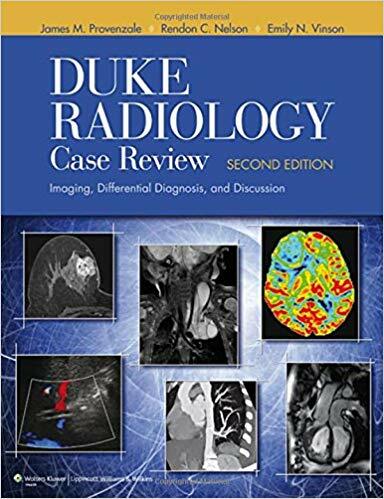 Residents, fellows and practicing radiologists who are preparing for certification exams (the current ABR Part II oral, the future ABR Core and Certifying, CAQ and MOC) will find the new edition of this case-based review book an indispensable tool for success. 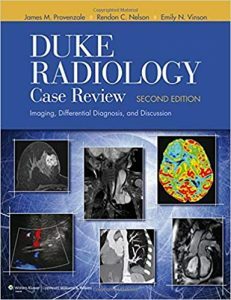 Duke Radiology Case Review has long been considered one of the standards in board review, and is a well-known adjunct to the popular and well-attended board review course given by the prestigious Department of Radiology at Duke University. Close to 300 case presentations are structured to align with the way residents are taught to work through patient cases. 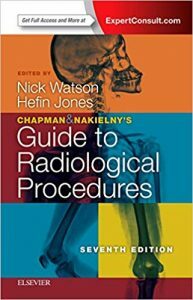 Divided by body region and including chapters on interventional radiology and nuclear medicine, each case offers a clinical history, relevant images, and bulleted points describing the differential diagnosis. 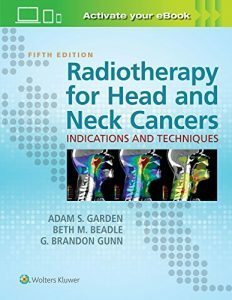 This is followed by the actual diagnosis and key clinical and radiologic facts about the diagnosis and suggested readings. 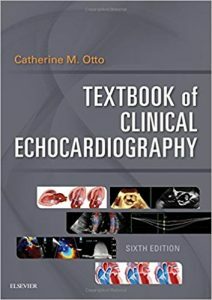 This edition includes a new chapter on cardiac imaging.